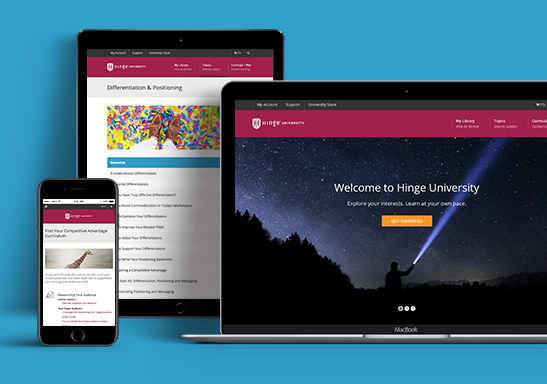 Hinge University Enterprise is designed for firms that want to enroll multiple people at a value price. It is designed for busy professionals who have little spare time but need to master specific skills or adopt the latest marketing strategies. From easy-to-digest video courses to step-by-step how-to’s to exclusive premium content, they can learn on any device at their own pace. As a special bonus, Enterprise members also receive unlimited email advice and support. For pricing and to sign up, call us: 703-391-8870.